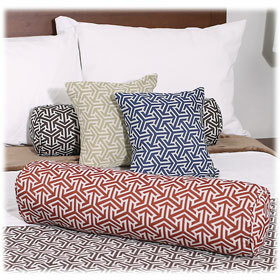 Offering a complete collection to tie your hotel guest room together with tone-on-tone bed scarves, bolster pillows, and bed skirts. 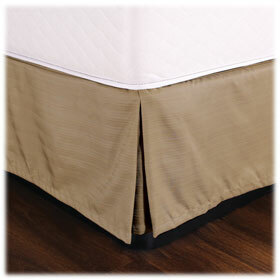 Mattress skirts easily wrap around all four corners of the box spring for a neat, fashionable appearance. 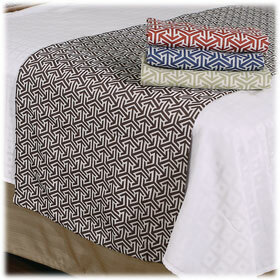 Bed skirts have a 14" drop and are constructed of 100% polyester. Ideal for the property utilizing the triple sheeting technique, lightweight white duvets, or comforters.